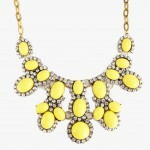 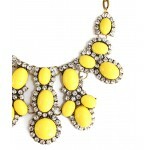 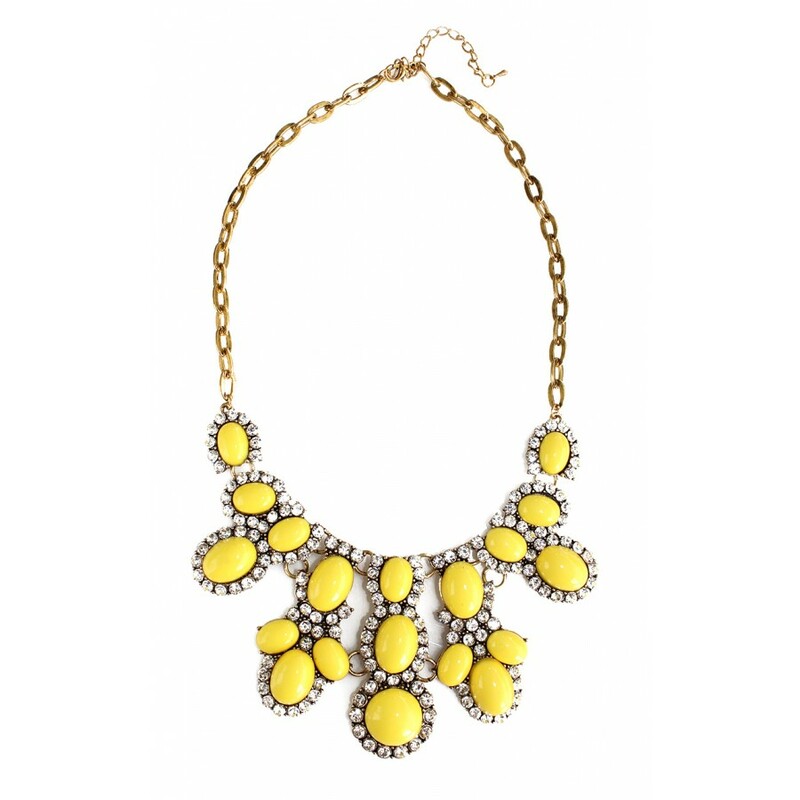 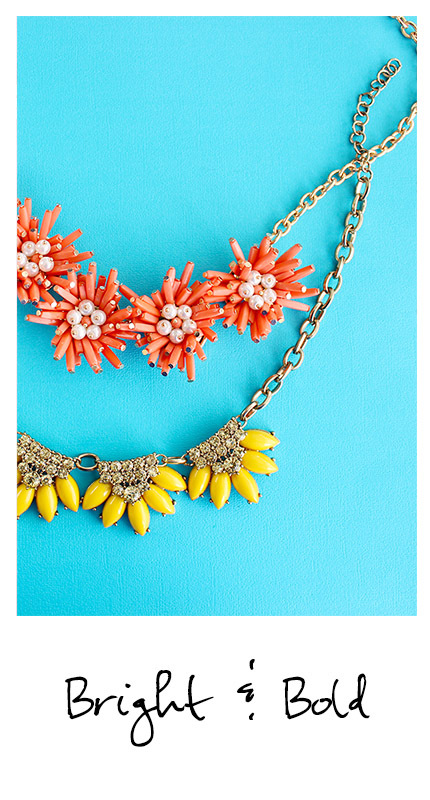 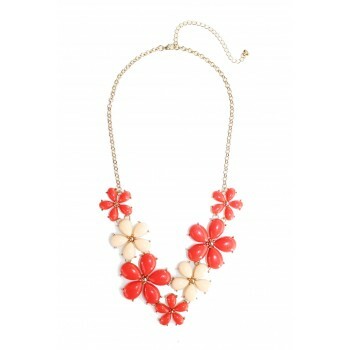 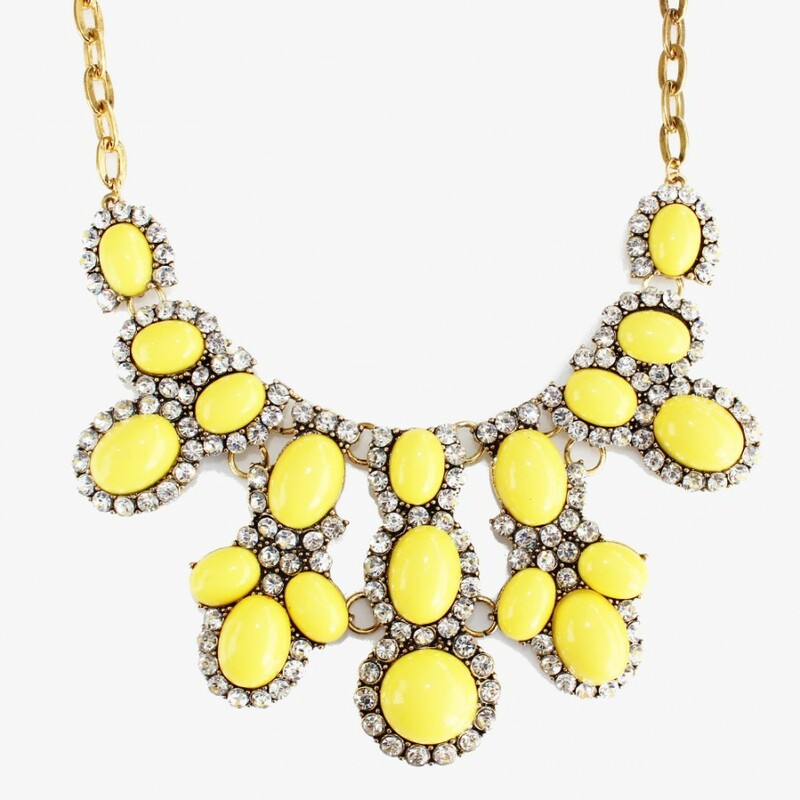 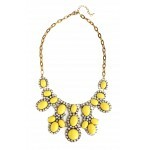 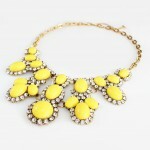 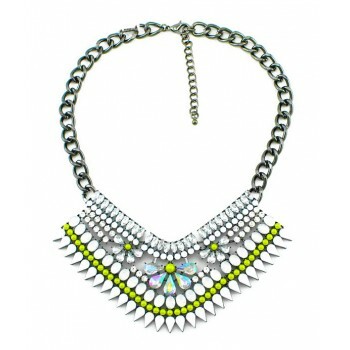 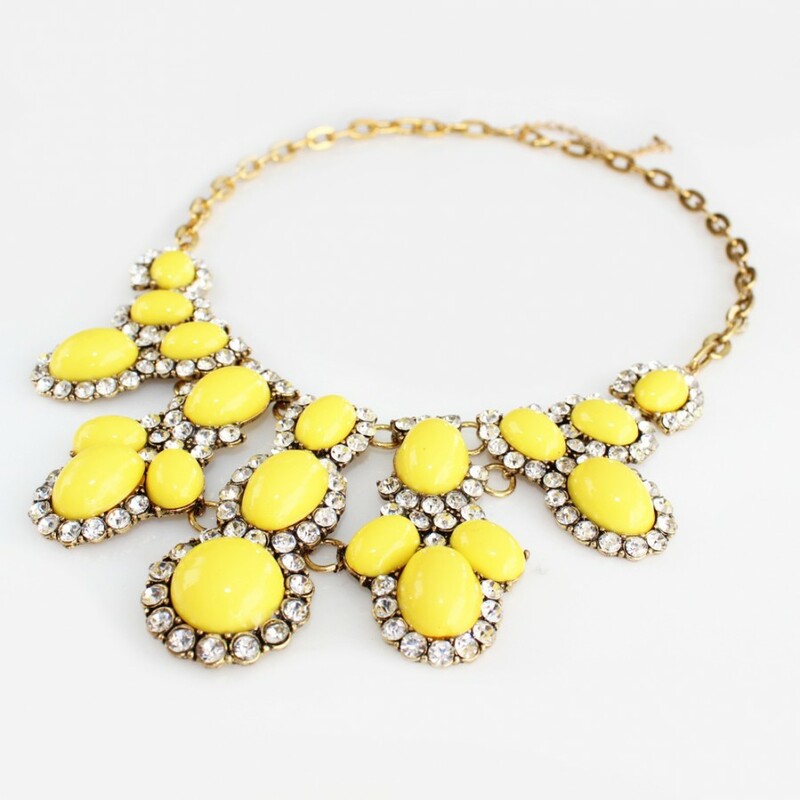 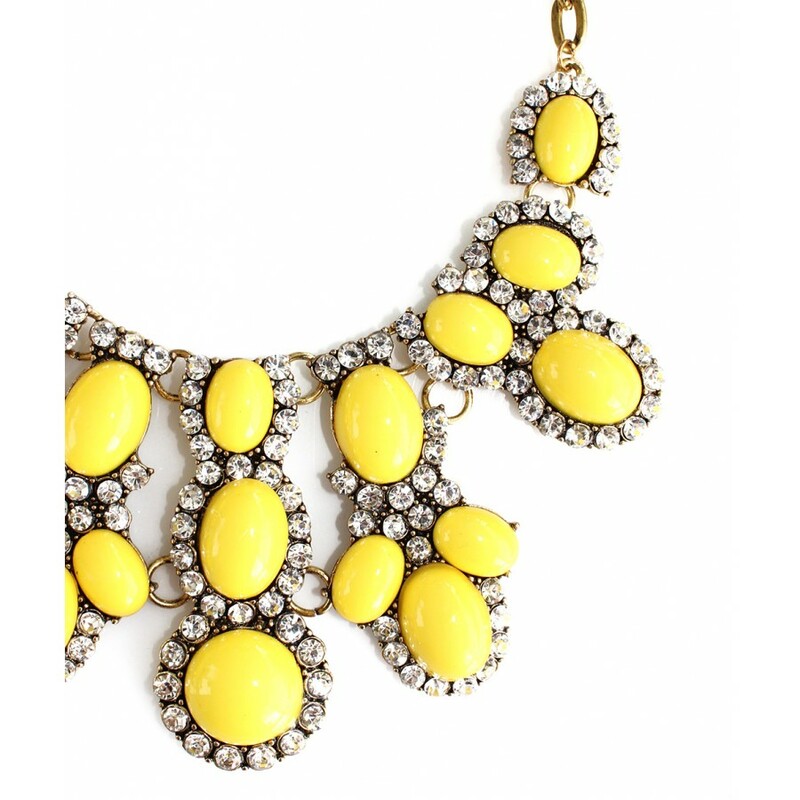 One of our best selling 'Clarita' Necklace gets an update with gorgeous yellow cabochons. 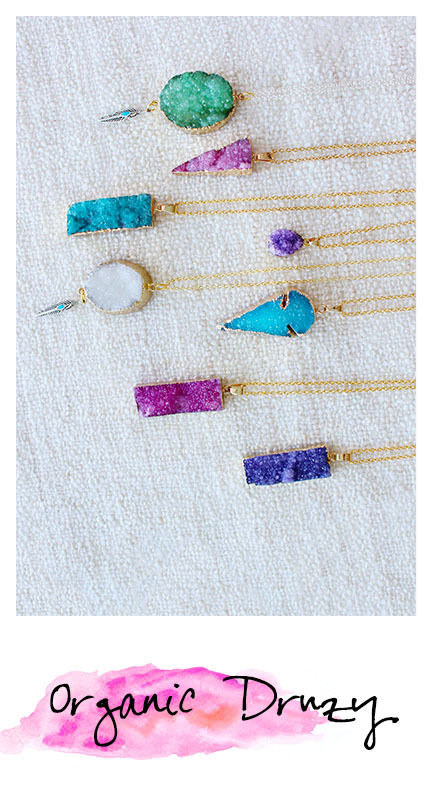 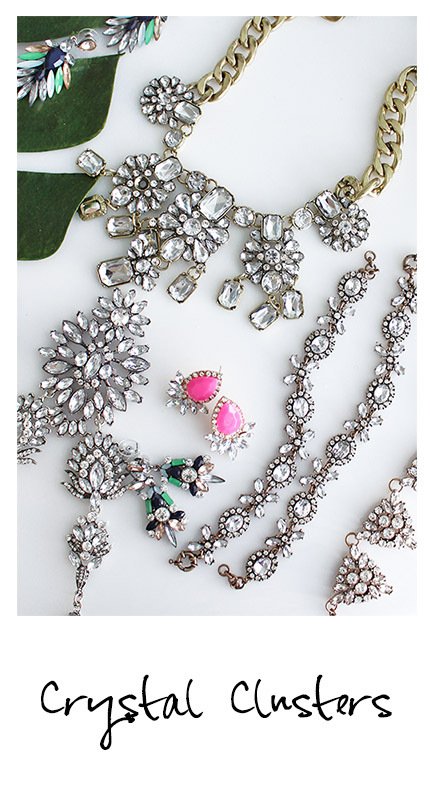 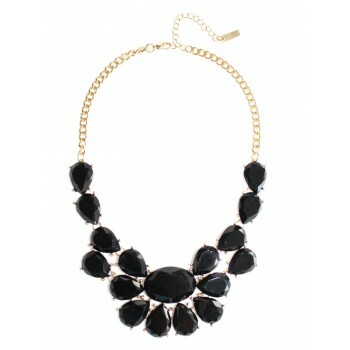 Crystal complemented the cabochons to add instant glam to your outfit, this design is a day or night must. 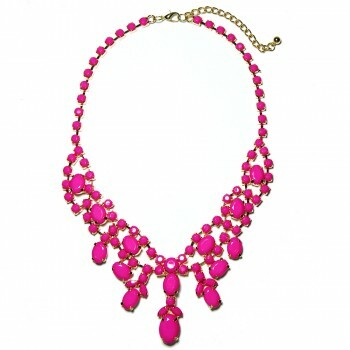 Faceted marquise stones in purple and champaign set the stage on this stunning necklace that is pe..